Background’s Q-grader team of coffee specialists develop the flagship seasonal house blend with the best specialty seasonal coffee beans avaialable. Background Coffee is found in several coffee houses, cavailablespresso bar across Sydney. Find out more about our wholesale coffee services. You can use Background Coffee at home or at the office or buy as a perfect coffee gift for someone that simply loves great coffee. 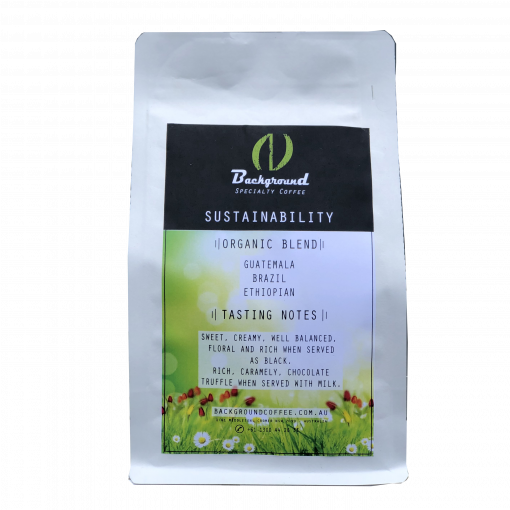 You can buy the blend in 1kg bags with volume discounts. Also, you will get free shipping when you spend $100 on an online order. 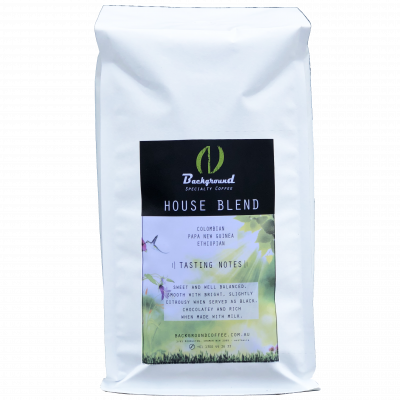 Background House Blend is sweet and smooth. The blend is a combination of coffee from Brazil, Indian Coffee and two secret African Coffees. As a result, the blend suits either black coffee lovers or cappuccino, lattes and flat white coffee lovers. Additionally, the coffee is roasted with extreme attention to detail to ensure an unforgivable taste experience. Coffee awakes the world. There is not a more desirable experience of waking up in the morning and have an amazing coffee with family or work colleagues.